In the wake of the surprise outcome of the 2017 election people began to look for an explanation for Labour’s unexpectedly good performance. One explanation quickly became prominent: Jeremy Corbyn had mobilised previously disengaged young voters, who had turned out in droves to vote Labour. This claim is largely based on anecdotes. Corbyn appears to be particularly popular amongst the young, often photographed surrounded by young people. Chants of ‘oh Jeremy Corbyn’ echoed around the Glastonbury festival, and Labour’s social media strategy is cited as energising young voters in droves. When we turn to the data we can see that turnout went up in constituencies with lots of young people. After the election, one post-election poll suggested that turnout amongst 18-24 year old went up by as much as 16 percentage points in 2017, with another suggesting an increase of 12 points. The Labour ‘youthquake’ explanation looks to become an assumed fact about the 2017 election. The Oxford English Dictionary even declared ‘youthquake’ their word of the year. But people have been much too hasty. There was no surge in youth turnout at the 2017 election. In order to find out what really happened in the election, pollsters and academics have been waiting for the turnout figures from the British Election Study (BES). Using the newly released BES data, we analyse the relationship between age and turnout at the 2015 and 2017 elections in a new paper. Below, we graph the relationship between age and turnout in 2015 and 2017. In both elections, older people are much more likely to have voted than young people and the age-turnout relationship barely changed between 2015 and 2017. The shaded grey areas represent the margin of error that surrounds the estimated level of turnout at each age. There is no evidence of a surge in voter turnout amongst the youngest eligible voters (indeed turnout in the youngest age group is actually slightly lower in our 2017 survey). There was likely a small increase in turnout across a large age range, with a slightly larger rise for those aged 30-40. The margin of error means that we cannot rule out a small increase (or decrease) in youth turnout in 2017. We can be confident, though, that there was no dramatic surge in youth turnout of the sort suggested by some other surveys. In short, there was no ‘youthquake’. So how did people mistake anecdote and preliminary survey evidence for the truth? Measuring turnout in surveys is particularly tricky. People who don’t vote also tend to be more reluctant to take surveys. The end result is that we can end up with too many voters in surveys, making surveys insufficiently representative of the general population (problems that led to the polls going awry in 2015). Second, some people will tell you they voted when they actually didn’t. This makes it very difficult to work out what the turnout rate amongst different groups actually was. Our best chance of getting an accurate estimate of turnout is to use the BES face-to-face survey – the gold standard measure of electoral behaviour in Britain since 1964. The BES face-to-face survey is different to other types of survey, which tend to be conducted via the internet and over the phone. Those methods are particularly prone to problems of response bias – the types of people who do surveys online or on the phone are more likely to vote than the population as whole. The BES face-to-face survey is designed to be as representative of the country as possible – including contacting large numbers of people who didn’t vote in the election. People are selected at random from thousands of addresses across the country and doors are knocked until as many people as possible participate. We also verify people’s survey answers by checking the marked electoral register. Of course, the BES face-to-face isn’t perfect and there is a ‘margin of error’ around the turnout estimates but the results are as close to the truth about who turned out to vote as is possible to get. That there was no sudden surge in youth turnout should probably not be as surprising as it is. 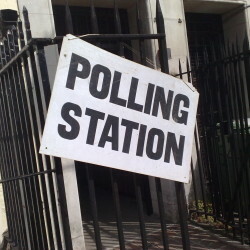 Everything we know about turnout suggests that voting is ‘sticky’ – most people who vote in one election will go on to vote at subsequent elections, and most people who abstain will continue to do so. We also know that older people are more likely to vote than young people – something that has always been the case in Britain and other countries. Turnout did go up in 2017, but only by a small fraction (2.5 percentage points). All of this suggests that large, sudden, and unexpected shifts in the age-turnout relationship are very unlikely. Why then did the idea that there was a surge in youth turnout take hold? In part it is because political commentary is prone to believing that what politicians set out to do is effective, even if there is no concrete evidence that it is. Increasing youth turnout was part of Corbyn’s political strategy. As Labour did unexpectedly well, it is not unreasonable to think that strategy might have paid off, even though this turns out not to be the case. Labour also was more popular amongst young people than old people in 2017. The figure below shows the relationship between age and the likelihood of voting for Labour in 2015 and 2017. Although Labour’s share of the youth vote did increase, this is not the same as a surge in youth turnout. Labour was more popular amongst younger voters in 2015 as well and Labour’s popularity increased amongst all ages except for those over 70. The relationship between age and vote also changed significantly between 2015 and 2017 because of older voters. The graph below plots the probability of voting Conservative by age in 2015 and 2017. It shows a big shift between 2015 and 2017 amongst the older age group, as many UKIP voters switched to the Conservatives following the Brexit referendum. Another reason the idea of a surge in youth turnout took hold is that the constituency level data appeared to support the claim. However drawing conclusions about the behaviour of individuals from aggregate level data is risky (in statistics, this is known as the ecological fallacy). We can see this at work with the change in turnout between 2015 and 2017. Turnout did go up in constituencies with more young voters: for every percentage point increase in 18 to 29 year olds living in a constituency according to the 2011 census, turnout went up by 0.1 percentage points compared to 2015. However it is easy to show why drawing conclusions about the behaviour of young voters from this sort of analysis is a bad idea. For every percentage point increase in 0 to 4 year olds living in a constituency, turnout went up by 0.9 percentage points! Few people, it is probably safe to say, think that turnout went up in 2017 because of a sudden surge in the number of British toddlers voting in elections. 2017 was not the toddlerquake election. What this relationship is showing, of course, is not that turnout went up amongst toddlers but that turnout went up in sorts of places with lots of toddlers. The same is true of the relationship between the number of young adults and turnout. Turnout did go up slightly in the sorts of places with lots of young adults. That does not necessarily mean it was those young adults doing the extra turning out. For a more detailed analysis and details of our methodology see our full paper available here.